From the past into the future. 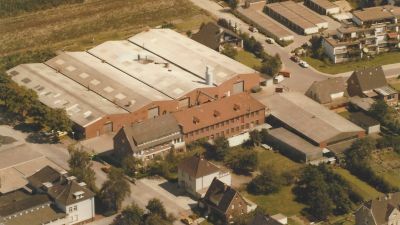 The company Draht Müller was founded in 1931 by Georg Jakob Müller and is now still family-owned in fourth generation by Michael Müller. 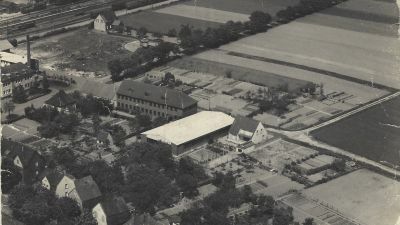 The current company headquarter was occupied in the 1950s and has been continuously expanded since then. The last plant expansions took place in 1997 and 2001. In these years the hall spaces have been doubled. Further enlargements will follow. In January 2016, our business units were divided. Since then our division “spot-welded wire mesh” in Dülmen as well as our divisions “crimp screens” and “paper- and wastebaskets” in Billerbeck are independent companies. Meanwhile the high-quality wire products are manufactured by the Draht Müller GmbH & Co. KG in Dülmen on a plant area of 8.000 m² and the Draht Müller Wellengitter GmbH in Billerbeck on a plant area of 3.000 m².